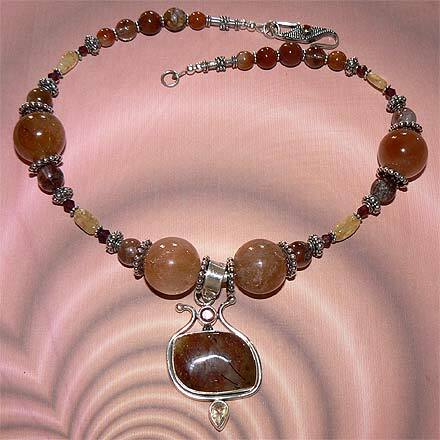 Sterling Silver Red Hair Rutilated Quartz, Citrine and Garnet Necklace. See Closeup. 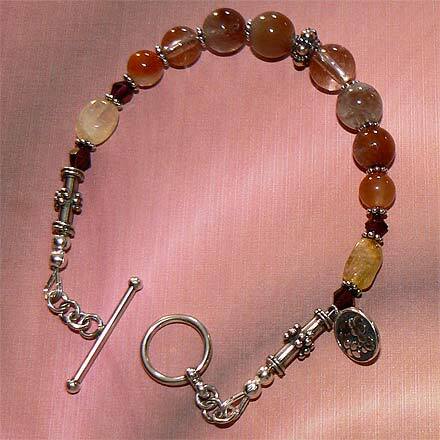 Sterling Silver Red Hair Rutilated Quartz, Citrine and Garnet Bracelet. Very unusual and fascinating pendant...it appears to be red hair or dirty Quartz, yet Tourmalinated Quartz at the same time because of the two black "sticks" of Tourmaline. I've never seen one like this before. 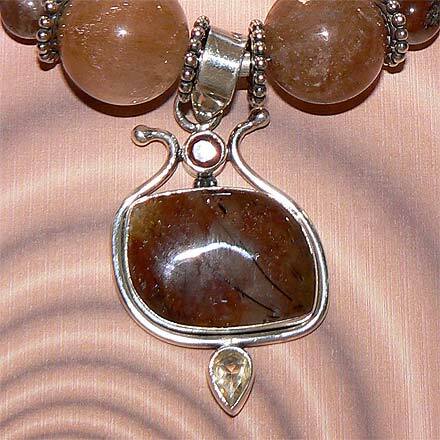 The necklace is a short "choker style" with a Garnet clasp to go along with the other Garnets in this set. Citrine is also used. For those who are interested in Astrological significances of stones, Quartz corresponds with Taurus and Gemini. Amethyst corresponds with Pisces and the month of February, and Citrine is November's birthstone.